The Apollo Lunar Module, or simply lunar module (LM, pronounced "Lem"), originally designated the lunar excursion module (LEM), was the spacecraft which was flown to and landed on the Moon. The lander spacecraft were built for the US Apollo program by Grumman Aircraft. The lunar module, consisting of a descent stage and an ascent stage, was ferried from the Earth to the Moon attached to the Apollo spacecraft command and service module (CSM), approximately twice its mass. The ascent stage carried a crew of two who flew the spacecraft from lunar orbit to the surface and later back to the command module. Designed for lunar orbit rendezvous, the Apollo Lunar Module was discarded after completing its mission. It was capable of operation only in outer space; structurally and aerodynamically it was incapable of flight through the Earth's atmosphere. The lunar module was the first manned spacecraft to operate exclusively in the airless vacuum of space. It was the first, and to date only, crewed vehicle to land anywhere beyond Earth. The LM's development was plagued with problems which delayed its first unmanned flight by about ten months, and its first manned flight by about three months. Despite this, the LM eventually became the most reliable component of the Apollo/Saturn space vehicle, the only component never to suffer a failure that could not be corrected in time to prevent abort of a landing mission. Ten lunar modules were launched into space. Of these, six successfully landed humans on the Moon between 1969 and 1972. The first two launched were test flights in low Earth orbit—the first without a crew, the second with one. Another was used by Apollo 10 for a "dress rehearsal" flight in low lunar orbit, without landing. One lunar module functioned as a "lifeboat" for the crew of Apollo 13, providing life support and propulsion when their CSM was disabled by an oxygen tank explosion en route to the Moon, forcing the crew to abandon their landing. The total cost of the LM for development and the units produced was $21.3B in 2016 dollars, adjusting from a nominal total of $2.2B using the NASA New Start Inflation Indices. The six landed descent stages remain intact where they landed and one ascent stage (Apollo 10's) is in heliocentric orbit. All the other LMs that flew either crashed into the Moon or burned up in the Earth's atmosphere. At launch, the lunar module sat directly beneath the command and service module (CSM) with legs folded, inside the Spacecraft-to-LM adapter (SLA) attached to the S-IVB third stage of the Saturn V rocket. There it remained through Earth parking orbit and the Trans Lunar Injection (TLI) rocket burn to send the craft toward the Moon. Soon after TLI, the SLA opened and the CSM separated, turned around, came back to dock with the lunar module, and extracted it from the S-IVB. During the flight to the Moon, the docking hatches were opened and the lunar module pilot entered the LM to temporarily power up and test its systems (except for propulsion). Throughout the flight, he performed the role of an engineering officer, responsible for monitoring the systems of both spacecraft. After achieving a lunar parking orbit, the Commander and LM Pilot entered and powered up the LM, replaced the hatches and docking equipment, unfolded and locked its landing legs, and separated from the CSM, flying independently. The Commander operated the flight controls and engine throttle, while the lunar module pilot operated other spacecraft systems and kept the Commander informed on systems status and navigational information. After visual inspection of the landing gear by the Command Module Pilot, the LM was withdrawn to a safe distance, then the descent engine was pointed forward into the direction of travel to perform the 30 second descent orbit insertion burn to reduce speed and drop the LM's perilune to within approximately 50,000 feet (15 km) of the surface, about 260 nautical miles (480 km) uprange of the landing site. Eagle, the lunar module ascent stage of Apollo 11, in orbit above the Moon. Earth is visible in the distance. At this point, the engine was started again for powered descent initiation. During this time the crew flew on their backs, depending on the computer to slow the craft's forward and vertical velocity to near zero. Control was exercised with a combination of engine throttling and attitude thrusters, guided by the computer with the aid of landing radar. During the braking phase altitude decreased to approximately 10,000 feet (3.0 km), then the final approach phase went to approximately 700 feet (210 m). 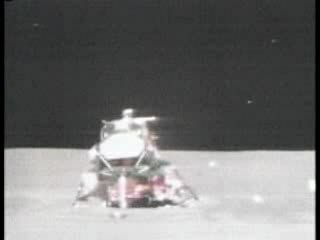 During final approach, the vehicle pitched over to a near-vertical position, allowing the crew to look forward and down to see the lunar surface for the first time. Astronauts only flew Apollo spacecraft manually during the lunar approach. The final landing phase began approximately 2,000 feet (0.61 km) uprange of the targeted landing site. At this point manual control was enabled for the Commander, and enough propellant reserve was allocated to allow approximately two minutes of hover time to survey where the computer was taking the craft and make any necessary corrections. If necessary, landing could have been aborted at almost any time by jettisoning the descent stage and firing the ascent engine to climb back into orbit for an emergency return to the CSM. 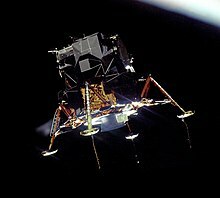 Finally, one or more of three 67.2-inch (1.71 m) long probes extending from footpads on the legs of the lander touched the surface, activating the contact indicator light which signaled the commander to manually shut off the descent engine, allowing the LM to settle onto the surface. On touchdown, the probes would be bent as much as 180 degrees, or even break off. The original design used the probes on all four legs, but starting with the first landing (LM-5 on Apollo 11), the one at the ladder was removed out of concern that the bent probe after landing could possibly puncture an astronaut's suit while he descended or stepped off the ladder. The original Extra-Vehicular Activity (EVA) plan, up through at least 1966, was for only one astronaut to leave the LM while the other remained inside in order "to maintain communications". Communications were eventually deemed to be reasonably reliable so that both crew members could walk on the surface, leaving the spacecraft to be only remotely attended by Mission Control. Beginning with Apollo 14, increased LM propellant reserve was made available for the powered descent and landing, by using the CSM engine to achieve the 50,000-foot (15 km) perilune. After the spacecraft undocked, the CSM raised and circularized its orbit for the remainder of the mission. When ready to leave the Moon, the LM would separate the descent stage and fire the ascent engine to climb back into orbit, using the descent stage as a launch platform. After a few course correction burns, the LM would rendezvous with the CSM and dock for transfer of the crew and rock samples. Having completed its job, the ascent stage was separated. The Apollo 10 ascent stage engine was fired to fuel depletion, sending it on a trajectory past the Moon into a heliocentric orbit. 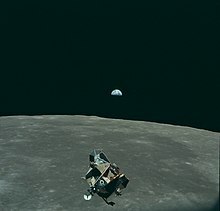 The Apollo 11 ascent stage was left in lunar orbit to eventually crash; all subsequent ascent stages (except for Apollo 13) were intentionally steered into the Moon to obtain readings from seismometers placed on the surface. 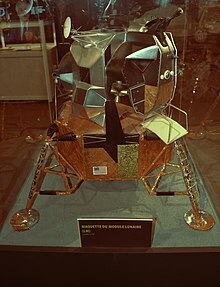 The lunar module (originally designated the lunar excursion module, known by the acronym LEM) was designed after NASA chose to reach the Moon via Lunar Orbit Rendezvous (LOR) instead of the direct ascent or Earth Orbit Rendezvous (EOR) methods. Both direct ascent and EOR would have involved landing a much heavier, complete Apollo spacecraft on the Moon. Once the decision had been made to proceed using LOR, it became necessary to produce a separate craft capable of reaching the lunar surface and ascending back to lunar orbit. In July 1962, eleven firms were invited to submit proposals for the LEM. Nine companies responded in September, answering 20 specific questions posed by the NASA RFP in a 60-page limited technical proposal. Grumman Aircraft was awarded the contract two months later. Grumman had begun lunar orbit rendezvous studies in the late 1950s and again in 1961. The contract cost was expected to be around $350 million. There were initially four major subcontractors—Bell Aerosystems (ascent engine), Hamilton Standard (environmental control systems), Marquardt (reaction control system) and TRW's Space Technology Laboratories (descent engine). 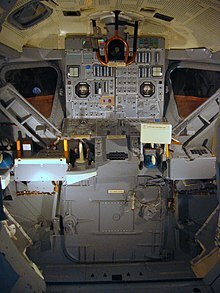 The Primary Guidance, Navigation and Control System (PGNCS) was developed by the MIT Instrumentation Laboratory; the Apollo Guidance Computer was manufactured by Raytheon (a similar guidance system was used in the command module). A backup navigation tool, the Abort Guidance System (AGS), was developed by TRW. This 1963 model depicts the second LEM design, which gave rise to informal references as "the bug". The Apollo Lunar Module was chiefly designed by Grumman aerospace engineer Thomas J. Kelly. The first LEM design looked like a smaller version of the Apollo command and service module (a cone-shaped cabin atop a cylindrical propulsion section) with folding legs. The second design invoked the idea of a helicopter cockpit with large curved windows and seats, to improve the astronauts' visibility for hover and landing. This also included a second, forward docking port, allowing the LEM crew to take an active role in docking with the CSM. As the program continued, there were numerous redesigns to save weight, improve safety, and fix problems. First to go were the heavy cockpit windows and the seats; the astronauts would stand while flying the LEM, supported by a cable and pulley system, with smaller triangular windows giving them sufficient visibility of the landing site. Later, the redundant forward docking port was removed, which meant the Command Pilot gave up active control of the docking to the Command Module Pilot; he could still see the approaching CSM through a small overhead window. These changes resulted in significant weight savings. Egress while wearing bulky Extra-Vehicular Activity (EVA) spacesuits was also facilitated by a simpler-opening forward hatch (32 x 32 inches). A configuration freeze did not start until April 1963, when the ascent and descent engine designs were decided. In addition to Rocketdyne, a parallel program for the descent engine was ordered from Space Technology Laboratories (TRW) in July 1963, and by January 1965 the Rocketdyne contract was canceled. Power was initially to be produced by fuel cells built by Pratt and Whitney similar to the CSM, but in March 1965 these were discarded in favor of an all-battery design. The initial design had three landing legs. As any particular leg would have to carry the weight of the vehicle if it lands at any significant angle, three legs was the lightest configuration. However, it would be the least stable if one of the legs were damaged during landing. The next landing gear design iteration had five legs and was the most stable configuration for landing on an unknown terrain. That configuration, however, was too heavy and the designers compromised on four landing legs. In June 1966, the name was changed to lunar module (LM), eliminating the word "excursion". According to George Low, Manager of the Apollo Spacecraft Program Office, this was because NASA was afraid that the word "excursion" might lend a frivolous note to Apollo. After the name change from "LEM" to "LM", the pronunciation of the abbreviation did not change, as the habit became ingrained among engineers, the astronauts, and the media to universally pronounce "LM" as "lem" which is easier than saying the letters individually. 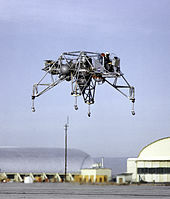 To allow astronauts to learn lunar landing techniques, NASA contracted Bell Aerosystems in 1964 to build the Lunar Landing Research Vehicle (LLRV), which used a gimbal-mounted vertical jet engine to counter 5/6 of its weight to simulate the Moon's gravity, in addition to its own hydrogen peroxide thrusters to simulate the LM's descent engine and attitude control. Successful testing of two LLRV prototypes at the Dryden Flight Research Center led in 1966 to three production Lunar Landing Training Vehicles (LLTV) which along with the LLRV's were used to train the astronauts at the Houston Manned Spacecraft Center. This aircraft proved fairly dangerous to fly, as three of the five were destroyed in crashes. It was equipped with a rocket-powered ejection seat, so in each case the pilot survived, including the first man to walk on the Moon, Neil Armstrong. LM-1 was built to make the first unmanned flight for propulsion systems testing, launched into low Earth orbit atop a Saturn IB. This was originally planned for April 1967, to be followed by the first manned flight later that year. But the LM's development problems had been underestimated, and LM-1's flight was delayed until January 22, 1968, as Apollo 5. At that time, LM-2 was held in reserve in case the LM-1 flight failed, which did not happen. LM-3 now became the first manned LM, again to be flown in low Earth orbit to test all the systems, and practice the separation, rendezvous, and docking planned for Apollo 8 in December 1968. But again, last-minute problems delayed its flight until Apollo 9 on March 3, 1969. A second, higher Earth orbit manned practice flight had been planned to follow LM-3, but this was canceled to keep the program timeline on track. Apollo 10 launched on May 18, 1969, using LM-4 for a "dress rehearsal" for the lunar landing, practicing all phases of the mission except powered descent initiation through takeoff. The LM descended to 47,400 feet (14.4 km) above the lunar surface, then jettisoned the descent stage and used its ascent engine to return to the CSM. 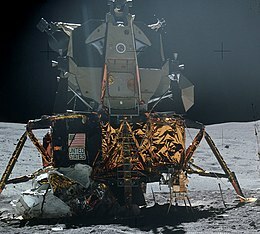 The first manned lunar landing occurred on July 20, 1969 with the Apollo 11 LM Eagle. Four days later, the Apollo 11 crew in the Command Module Columbia splashed down in the Pacific Ocean, completing President John F. Kennedy's goal "before this decade is out, of landing a man on the Moon and returning him safely to the Earth." This was followed by precision landings on Apollo 12 (Intrepid) and Apollo 14 (Antares). In April 1970, the Apollo 13 lunar module Aquarius played an unexpected role in saving the lives of the three astronauts after an oxygen tank in the service module ruptured, disabling the CSM. Aquarius served as a "lifeboat" for the astronauts during their return to Earth. Its descent stage engine was used to replace the crippled CSM Service Propulsion System engine, and its batteries supplied power for the trip home and recharged the Command Module's batteries critical for reentry. The astronauts splashed down safely on April 17, 1970. The LM's systems, designed to support two astronauts for 45 hours (including twice depressurization and repressurization causing loss of oxygen supply), actually stretched to support three astronauts for 90 hours (without depressurization and repressurization and loss of oxygen supply). Hover times were maximized on the last four landing missions by using the Service Module engine to perform the initial descent orbit insertion burn 22 hours before the LM separated from the CSM, a practice begun on Apollo 14. This meant that the complete spacecraft, including the CSM, orbited the Moon with a 9.1-nautical-mile (16.9 km) perilune, enabling the LM to begin its powered descent from that altitude with a full load of descent stage propellant, leaving more reserve propellant for the final approach. The CSM would then raise its perilune back to the normal 60 nautical miles (110 km). The extended lunar module (ELM) used on the final three "J-class missions", Apollo 15, 16 and 17, were significantly upgraded to allow for greater landing payload weights and longer lunar surface stay times. The descent engine power was improved by the addition of a 10-inch (250 mm) extension to the engine bell, and the descent propellant tanks were increased in size. A waste storage tank was added to the descent stage, with plumbing from the ascent stage. These upgrades allowed stay times of up to 75 hours on the Moon. The Lunar Roving Vehicle was carried folded up in Quadrant 1 of the descent stage and deployed by the astronauts after landing. This allowed them to explore large areas and return a greater variety of lunar samples. Note that weights varied from mission to mission; those given here are an average for the non-ELM class vehicles. See the individual mission articles for each LM's weight. The Ascent stage contained the crew cabin with instrument panels and flight controls. It contained its own Ascent Propulsion System (APS) engine and two hypergolic propellant tanks for return to lunar orbit and rendezvous with the Apollo command and service module. 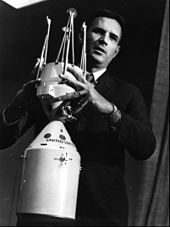 It also contained a Reaction Control System (RCS) for attitude and translation control, which consisted of sixteen hypergolic thrusters similar to those used on the Service Module, mounted in four quads, with their own propellant supply. A forward EVA hatch provided access to and from the lunar surface, while an overhead hatch and docking port provided access to and from the Command Module. Internal equipment included an environmental control (life support) system; a VHF communications system with two antennas for communication with the Command Module; a unified S-band system and steerable parabolic dish antenna for communication with Earth; an EVA antenna resembling a miniature parasol which relayed communications from antennas on the astronauts' Portable Life Support Systems through the LM; primary (PGNCS) and backup (AGS) guidance and navigation systems; an Alignment Optical Telescope for visually determining the spacecraft orientation; rendezvous radar with its own steerable dish antenna; and an ice sublimation system for active thermal control. Electrical storage batteries, cooling water, and breathing oxygen were stored in amounts sufficient for a lunar surface stay of 48 hours initially, extended to 75 hours for the later missions. 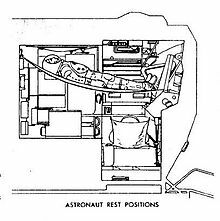 During rest periods while parked on the Moon, the crew would sleep on hammocks slung crosswise in the cabin. The return payload included the lunar rock and soil samples collected by the crew (as much as 238 pounds (108 kg) on Apollo 17), plus their exposed photographic film. Equipment for the lunar exploration was carried in the Modular Equipment Stowage Assembly (MESA), a drawer mounted on a hinged panel dropping out of the lefthand forward compartment. 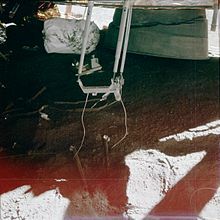 Besides the astronaut's surface excavation tools and sample collection boxes, the MESA contained a television camera with a tripod; as the commander opened the MESA by pulling on a lanyard while descending the ladder, the camera was automatically activated to send the first pictures of the astronauts on the surface back to Earth. A United States flag for the astronauts to erect on the surface was carried in a container mounted on the ladder of each landing mission. 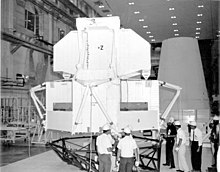 The Early Apollo Surface Experiment Package (EASEP) (later the Apollo Lunar Surface Experiment Package (ALSEP)), was carried in the opposite compartment behind the LM. An external compartment on the right front panel carried a deployable S-band antenna which, when opened looked like an inverted umbrella on a tripod. This was not used on the first landing due to time constraints, and the fact that acceptable communications were being received using the LM's S-band antenna, but was used on Apollo 12 and 14. A hand-pulled Modular Equipment Transporter (MET), similar in appearance to a golf cart, was carried on Apollo 13 and 14 to facilitate carrying the tools and samples on extended moonwalks. On the extended missions (Apollo 15 and later), the antenna and TV camera were mounted on the Lunar Roving Vehicle, which was carried folded up and mounted on an external panel. Compartments also contained replacement Portable Life Support System (PLSS) batteries and extra lithium hydroxide canisters on the extended missions. 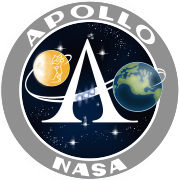 LM-4 Snoopy Apollo 10 May 18, 1969 Descent stage hit Moon, ascent stage in heliocentric orbit. Snoopy is the only surviving flown LM ascent stage. Partially completed by Grumman, restored and on display at Cradle of Aviation Museum, Long Island, New York. Also used during 1998 miniseries From the Earth to the Moon. * For the location of LMs left on the Lunar surface, see list of man-made objects on the Moon. World map showing locations of Apollo Lunar Modules (along with other hardware). One proposed Apollo application was an orbital solar telescope constructed from a surplus LM with its descent engine replaced with a telescope controlled from the ascent stage cabin, the landing legs removed and four "windmill" solar panels extending from the descent stage quadrants. This would have been launched on an unmanned Saturn 1B, and docked with a manned command and service module, named the Apollo Telescope Mission (ATM). This idea was later transferred to the original wet workshop design for the Skylab orbital workshop and renamed the Apollo Telescope Mount to be docked on a side port of the workshop's multiple docking adapter (MDA). When Skylab changed to a "dry workshop" design pre-fabricated on the ground and launched on a Saturn V, the telescope was mounted on a hinged arm and controlled from inside the MDA. Only the octagonal shape of the telescope container, solar panels and the Apollo Telescope Mount name were kept, though there was no longer any association with the LM. 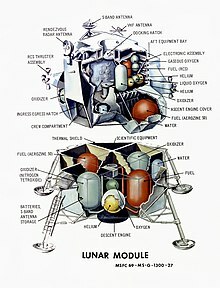 The Apollo LM Truck (also known as Lunar Payload Module) was a stand-alone LM descent stage intended to deliver up to 11,000 pounds (5.0 t) of payload to the Moon for an unmanned landing. This technique was intended to deliver equipment and supplies to a permanent manned lunar base. As originally proposed, it would be launched on a Saturn V with a full Apollo crew to accompany it to lunar orbit and guide it to a landing next to the base; then the base crew would unload the "truck" while the orbiting crew returned to Earth. In later AAP plans, the LPM would have been delivered by an unmanned lunar ferry vehicle. The Ron Howard film Apollo 13, a dramatization of that mission starring Tom Hanks, Kevin Bacon, and Bill Paxton, was filmed using realistic spacecraft interior reconstructions of the Aquarius and the Command Module Odyssey. The development and construction of the lunar module is dramatized in the miniseries From the Earth to the Moon episode entitled "Spider". This is in reference to LM-3, used on Apollo 9, which the crew named Spider after its spidery appearance. The unused LM-13 stood in during the teleplay to depict LM-3 and LM-5, Eagle, used by Apollo 11. Apollo 15 landing on the Moon seen from the perspective of the Lunar Module Pilot. Starts at about 5000 feet. Apollo 15 Lunar Module lifts off the Moon. 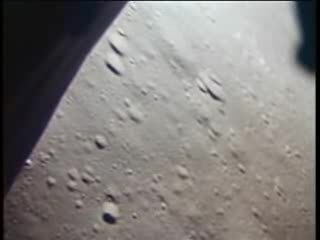 View from TV camera on the Lunar Roving Vehicle. Apollo 15 Lunar Module liftoff. View from inside LM. Apollo 17 Lunar Module liftoff. View from TV camera on the lunar rover. ^ "Apollo 11 Lunar Orbit Phase". ^ Gatland, Kenneth (1976). Manned Spacecraft, Second Revision. New York: Macmillan Publishing Co. pp. 194–196. ISBN 0-02-542820-9. ^ Agle, D.C. (September 1998). "Flying the Gusmobile". Air & Space. Retrieved 2018-12-15. "While one astronaut explores the area around the LEM, the second remains inside to maintain communications." ^ Ryba, Jeanne (ed.). "Apollo 10". NASA. Retrieved June 26, 2013. ^ "Current locations of the Apollo Command Module Capsules (and Lunar Module crash sites)". Apollo: Where are they now?. NASA. Retrieved 27 December 2014. ^ Courtney G. Brooks; James M. Grimwood; Loyd S. Swenson (September 20, 2007). "Chariots for Apollo: A History of Manned Lunar Spacecraft; Engines, Large and Small". Retrieved June 7, 2012. ^ Leary, Warren E. (27 March 2002). "T. J. Kelly, 72, Dies; Father of Lunar Module" – via NYTimes.com. ^ "LM Electrical". Encyclopedia Astronautica. Archived from the original on 2010-02-01. ^ "LM Landing Gear". Encyclopedia Astronautica. Archived from the original on 2010-02-01. ^ Scheer, Julian W. (Assistant Administrator for Public Affairs, NASA). Memorandum from Project Designation Committee, June 9, 1966. ^ Cortright, Edgar M. (1975). Apollo expeditions to the moon. Scientific and Technical Information Office, National Aeronautics and Space Administration. NASA.gov ch-4-2. ^ Courtney G. Brooks; James M. Grimwood; Loyd S. Swenson (1979). "Chapter 12 Part 7". Chariots for Apollo: A History of Manned Lunar Spacecraft. NASA. ISBN 0-486-46756-2. Archived from the original on 9 February 2008. Retrieved 2008-01-29. ^ "TR-201 for Delta rocket second stage derived from LMDE". 1972. Archived from the original on 2008-07-06. ^ Apollo LM Truck on Mark Wade's Encyclopedia Astronautica Archived 2005-12-15 at the Wayback Machine – Description of adapted LM descent stage for the unmanned transport of cargo to a permanent lunar base. Kelly, Thomas J. (2001). 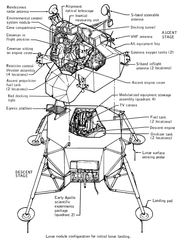 Moon Lander: How We Developed the Apollo Lunar Module (Smithsonian History of Aviation and Spaceflight Series). Smithsonian Institution Press. ISBN 1-56098-998-X. Brooks, Courtney J., Grimwood, James M. and Swenson, Loyd S. Jr (1979) Chariots for Apollo: A History of Manned Lunar Spacecraft NASA SP-4205. Stengel, Robert F. (1970). Manual Attitude Control of the Lunar Module, J. Spacecraft and Rockets, Vol. 7, No. 8, pp. 941–948. 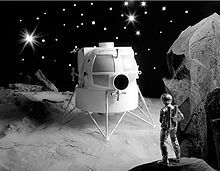 Wikimedia Commons has media related to Apollo Lunar modules. Space/Craft Assembly & Test Remembered – A site "dedicated to the men and women that designed, built and tested the Lunar Module at Grumman Aerospace Corporation, Bethpage, New York"
Apollo Operations Handbook, Lunar Module (LM 10 and Subsequent), Volume One. Subsystems Data (PDF) Manufacturers Handbook covering the systems of the LM. Apollo Operations Handbook, Lunar Module (LM 11 and Subsequent), Volume Two. Operational Procedures Manufacturers Handbook covering the procedures used to fly the LM.